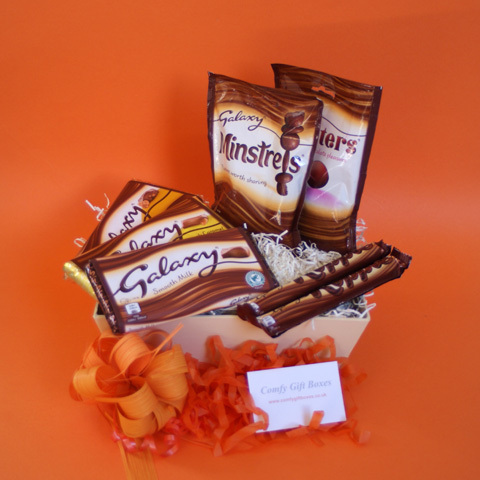 This little gift is ideal to send as a thank you present, get well soon gift or a surprise Birthday treat. The lucky recipient can indulge in a delicious Galaxy® hot chocolate drink served in their own eco friendly reusable bamboo travel mug. The bamboo mug has a cheery floral design and a pink silicone lid. A bar of Galaxy® smooth milk chocolate is also included as an extra chocolatey treat. 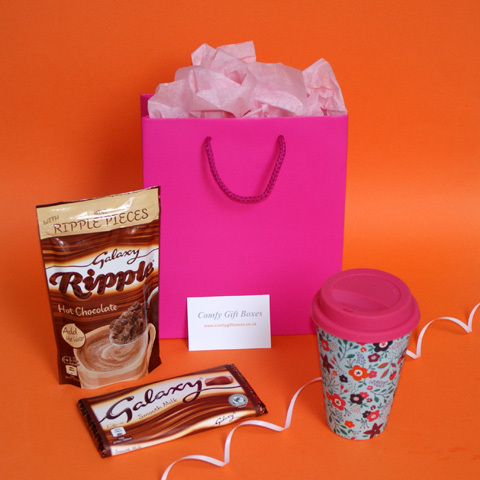 This small pampering gift for girls with an reusable bamboo travel mug is presented in a bright pink gift bag that has matching rope handles, this is filled with light pink tissue and includes a gift card personalised with you own message. 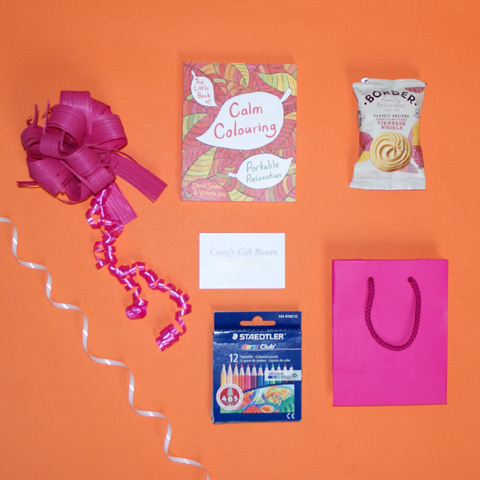 The present ideas shown below also make fun thank you chocolate treats, send as a get well soon surprise, a thank you gift or as a birthday gift. 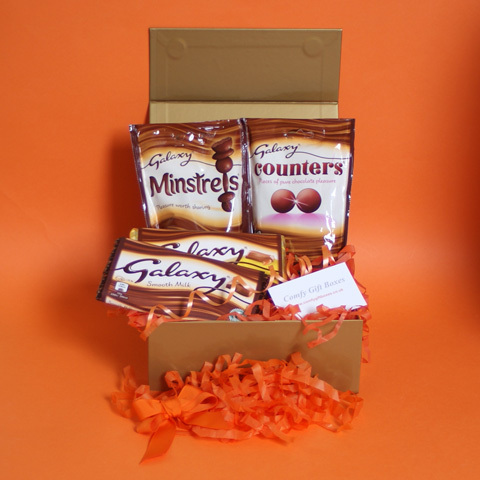 Our Mini Galaxy® Chocolate Gift Box and our Galaxy® Bath and Candle Pamper Gift are very well received by the smooth milk chocolate lovers! 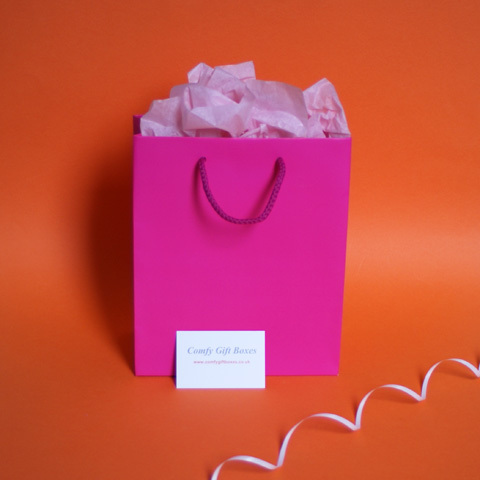 Presented in a bright pink gift bag with matching rope handles and pale pink tissue paper. 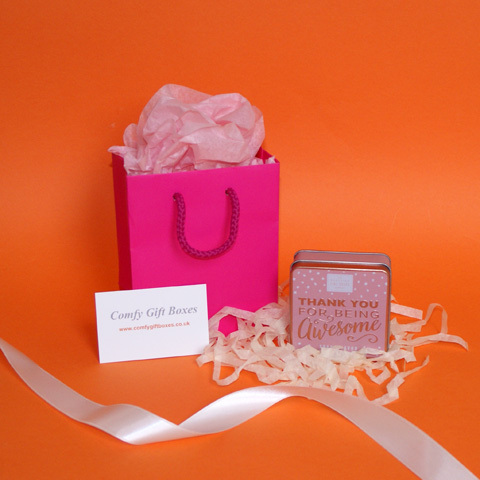 Presented in a bright pink gift bag with matching rope handles and light pink tissue paper.